Heavy equipment maker Liebherr’s goal of becoming one of the top suppliers for the mining industry seems to be a step closer as the Switzerland-based company has recently began the first field operation trial for its latest mining vehicle — the T 236 diesel electric truck. 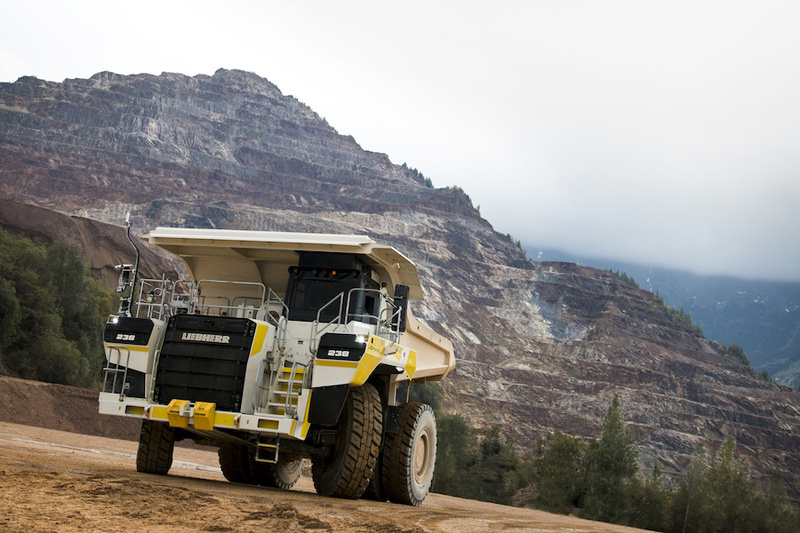 The new rigid-frame dump truck with a diesel electric drive system, unveiled last year at MINExpo, is Liebherr’s entry into the 100 tonne class and its currently being tested at the Erzberg iron ore mine in Austria. Designing and building all of the trucks components to perform and last in the most extreme mining conditions, makes Liebherr’s vehicles run much longer between component overhauls, saving time and money. Erzberg mine was carefully and deliberately chosen as the proving ground for the T 236, because it offers a varied and challenging set of conditions for field trials. The alpine operation is active 24 hours for more than 330 days each year and the climate conditions can vary from snow with temperatures of -20°Celsius to summer heat, with in-pit temperatures that can reach 40°Celsius. 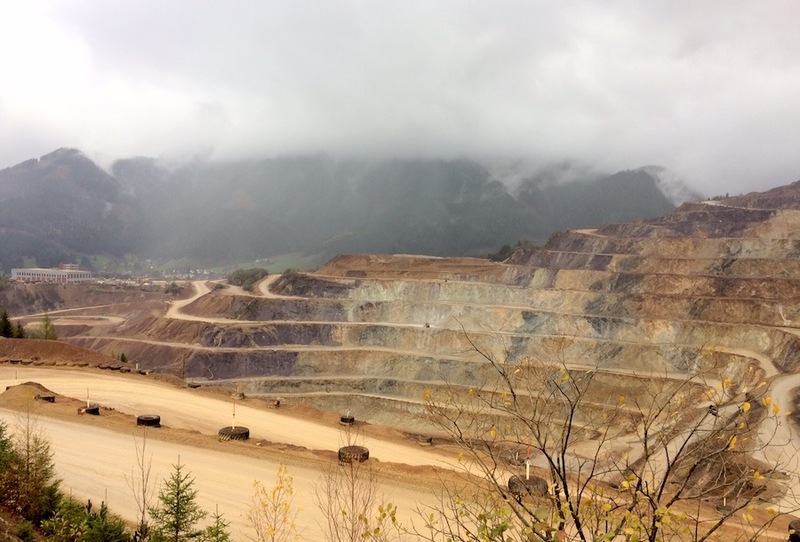 What’s even more challenging about this mine is that, in a matter of hours, the weather intermittently switches between rain, sunshine and howling winds, as MINING.com was able to experience during a product demonstration this week. In addition, Erzberg offers both uphill and downhill haulage cycles, with a constant variation of grade, and has an existing fleet of trucks in the 100 tonne class, for the T 236 to work alongside as direct comparison. Richthammer says that, by designing and building all of the company’s trucks to perform and last in the most extreme mining conditions, Liebherr’s vehicles run much longer between component overhauls, saving time and money. In the coming year, Liebherr will supply further pre-series machines to selected operations to further validate the truck’s capabilities in South Africa and other selected global locations. The plan is to have it commercially available by the end of 2018.